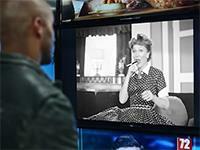 Alex Strachan, in his TV That Matters blog for TVWW, just wrote a great piece explaining why Showtime’s The Circus has become such indispensible, instructional weekly viewing. 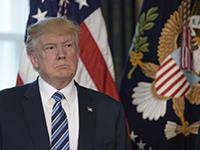 And in the last week of President Trump’s First 100 Days, a week that includes the White House Correspondents’ Dinner where the President himself was a defiant no-show, this week’s political recap on The Circus is an especially Must-See edition. SEASON FINALE: That went quickly. But it’s already the end for Season 3 of American Crime, which has managed to present two solid seasons of separate stories, offering different roles to several members of the cast each season – and, this evening, concludes a third, featuring, among others, strong and solemn work by Felicity Huffman. For David Hinckley's take, see his blog, All Along the Watchtower. SEASON PREMIERE: Last night, W. Kamau Bell was on CNN, not only commenting on the White House Correspondents’ Dinner as it was barely underway, but also promoting the return of his weekly CNN comedy series, which returns tonight. 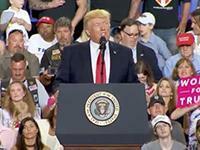 Add it to your Sunday political wrap-ups, along with Showtime’s The Circus and, though it’s on hiatus this week, HBO’s Last Week Tonight with John Oliver. This may be the sharpest-written comedy on TV right now, and Julia Louis-Dreyfus’ Selina may be the sharpest-tongued comic character. But no matter how funny she is, and how funny this show is, some of the political antics and observations on this show are so extreme, and so absurd, yet so recognizable, it almost hurts to laugh. This year’s induction ceremony was held April 7, and the new members being added to the Hall of Fame were Joan Baez, Electric Light Orchestra, Journey, Pearl Jam, Tupac Shakur, and Yes. The festivities, speeches and performances are shown in this HBO cut-down version of the event. 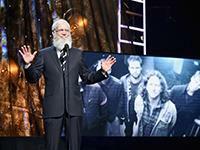 One segment certain not to be cut: David Letterman, in full retirement beard, inducting Pearl Jam, the band that graced his late-night TV show on several memorable occasions. 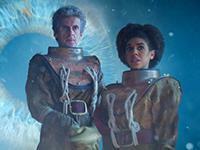 Tonight’s new Doctor Who episode is set in London – but it’s a frigid London where even the Thames is frozen, and untold dangers lurk deep beneath the surface.